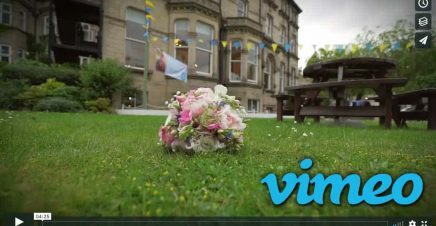 September 2018 – By far the best way to browse my samples is to look at my Vimeo channel – over 100 short trailers to look at featuring some of the very latest wedding films I have created for my happy couples. As a solo wedding videographer, I can ensure your wedding day is filmed with the minimum of fuss or intrusion, yet using the latest professional video and audio equipment. 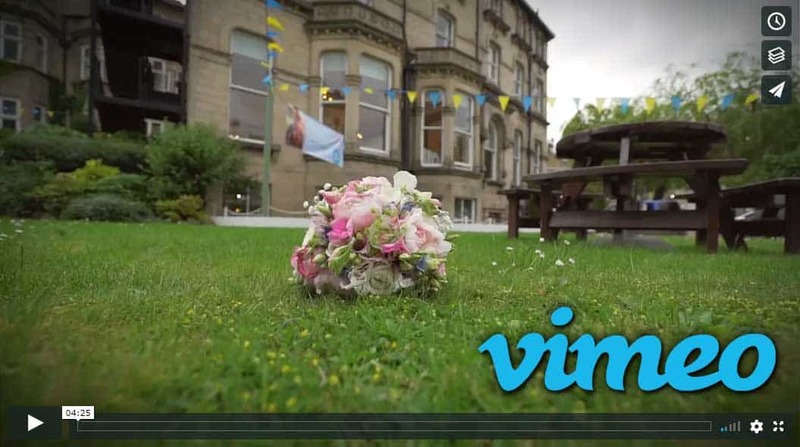 I hope you enjoy browsing some of my more recent wedding film trailers on Vimeo. If you like what you see get in touch – your wedding day is very important and I always find it a privilege when couples book me to film their big day. With a background in documentary film making, I can record your day naturally, as it happens. I use contemporary filming and editing techniques to provide a wedding video which is a beautiful and lasting record, for you to enjoy with your family and friends for years to come. Over the years I have regularly filmed weddings in and around Leeds, Bradford, Wakefield, Skipton and The Yorkshire Dales, Ilkley, Huddersfield, Halifax, Otley, Harrogate, York, Wetherby, Scarborough and Whitby, Clitheroe, Keighley, Ripon and across the Craven District. I am ideally placed to film weddings in Yorkshire, Lancashire, Cheshire, Derbyshire, County Durham and beyond. Wherever your wedding is, from a small registry office up to a large marquee or even a cathedral, get in touch for prices and to discuss your requirements. If I am free for your date we can arrange a meeting, and I can show you samples of my wedding films and talk you through the process. My prices are based on 3 packages but there is flexibility – Contact me for details.